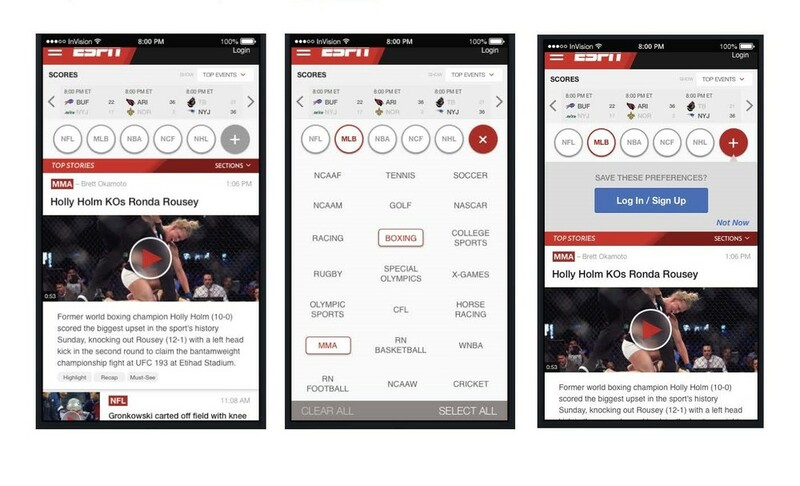 Diary Study: What is the current experience of watching mobile videos on ESPN.com? Interviews: How do users interact with video on a mobile platform? 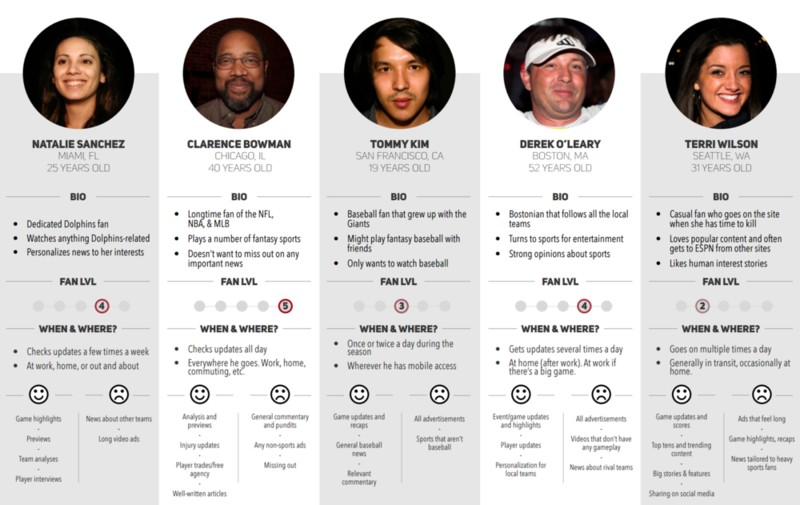 Questionnaire: What are the mobile video preferences of sports fans? Competitive Analysis: How do other sports sites present video content? 6 competitors were examined for account creation, personalization, content categorization and organization, and ad display. 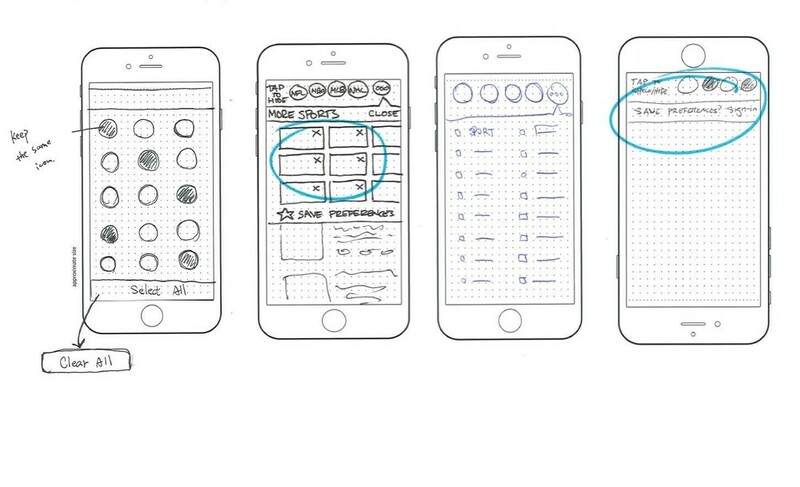 Through design critiques and usability testing a final prototype was created, keeping user preferences in mind. Using a screen capture software we created a simulated user flow with our refined prototype. 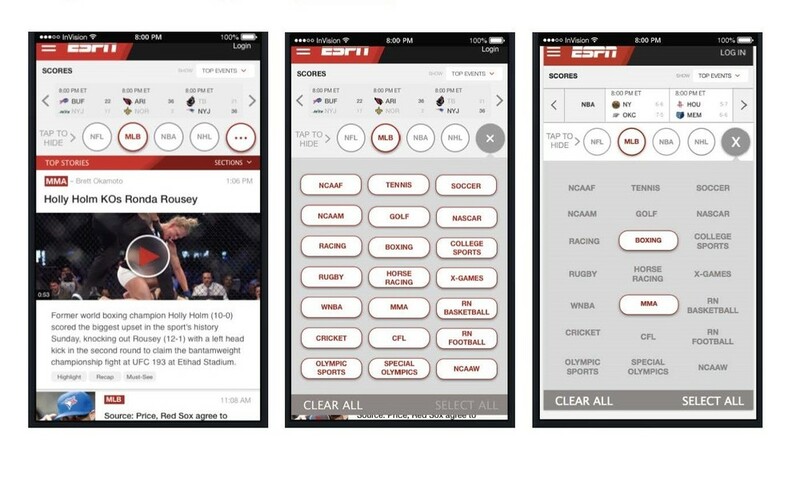 We presented the final prototype as well as our research findings to an audience of 20 ESPN executives who are involved with mobile video strategy at ESPN’s headquarters in Bristol, CT.
How can ESPN lower the barrier to personalization so people will utilize those features? How can ESPN help people navigate through the information without making them feel overwhelmed or lost? How can ESPN incorporate users’ changing needs and expectations into its product development and design processes?